And it's got the amazing sound of the E60 M5's V10 engine. 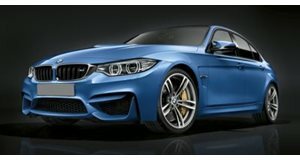 BMW has built many variants of the M3 including a sedan, coupe and convertible. However, it has never been bold enough to make an M3 wagon. We often dreamed of one, while others have even rendered what this amazing car could look like. Luckily, there are a few amazing shops out there that can take people's automotive dreams and make them reality. Manhart racing specializes in making crazy BMWs, and this E91 M3 Touring might be one of its coolest creations yet. The M3 wagon is now a reality. Most people would have just swapped in the S62 V8 from the E9x M3, but Manhart took this car a step further by dropping in the howling S85 V10 from the E60 M5. The engine was tuned, so it now produces 550 hp going out to a seven-speed SMG transmission. 0-60 mph takes just 4.3 seconds. Amazingly, this V10-powered wagon is not any faster than an E9x M3 from the factory. However, it is completely unique, and sounds even better than the V8 found in the factory car. 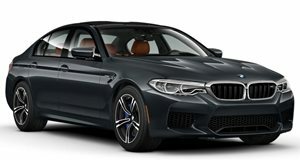 It also has a custom interior with BMW bucket racing seats, which kind of defeat the purpose of having a comfy wagon to cruise around in. Now you know where to turn if you ever need someone to build the wagon of your dreams.